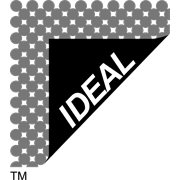 Ideal's camping matting is a 2.4m wide, open weave matting, made with a UV resistant PVC foam coating with PES/Glass fibre yarn webbing. 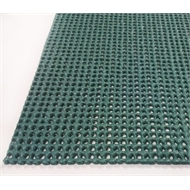 Many commercial campsites and caravan parks require open weave camping matting to protect grassed areas form campers foot traffic while enabling water and sunlight through to keep the grass alive healthy. It is easy to hold the perimeter with tent pegs or 'U' shaped wire irrigation pins. Camping Matting is primarily used inside annexes and under the outside awnings of caravans and tents. 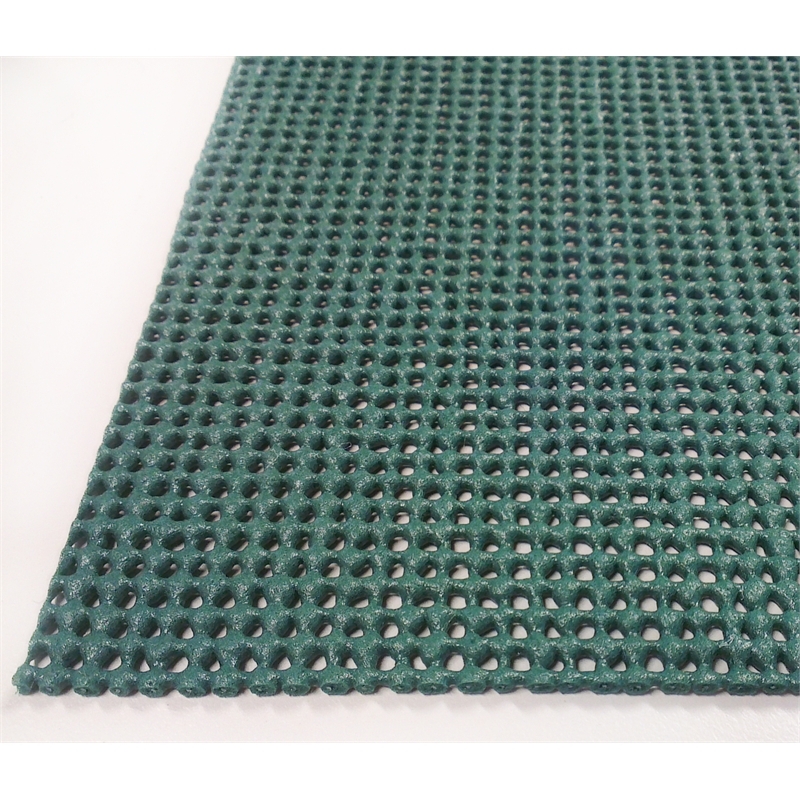 The matting is comfortable to walk on and is reasonably durable.